You can “score” a wild turkey similar to the way you score a whitetail deer, which is a fun way for hunters to compare trophies. The National Wild Turkey Federation (NWTF) compiles records for all subspecies of turkeys and offers simple steps for scoring birds, as well as a “calculator” for figuring total score. 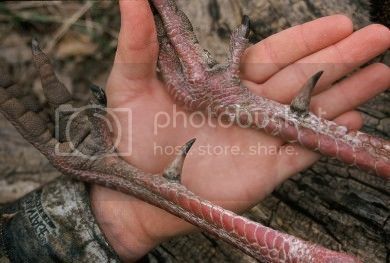 All this information is easily searched on the NWTF website (http://www.nwtf.org), and the in-the-field steps are simple. First, weigh the bird (not field dressed) and convert the weight into decimal form (19.75 pounds, for example). Next, measure each spur along the outside center from the point at which the spur extends from the leg skin to the tip of the spur. Add both spur measurements and multiply that total by ten. Finally, measure the beard from the center point at the skin to the tip of the beard, then multiply by two. 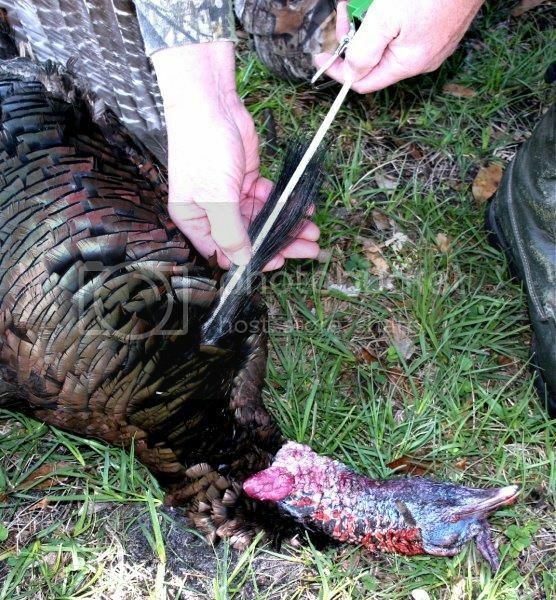 If the bird has multiple beards (classed as an atypical turkey by NWTF), measure them the same way. This score calculation can be made on the NWTF website, and the bird can be registered with the federation, too, where it can be compared with turkeys taken by thousands of hunters throughout America. 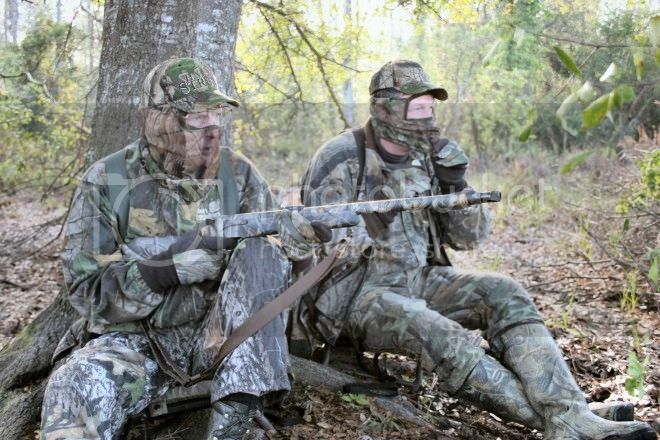 ...it's worth a look for all things related to turkey hunting !! Download the NWTF Wild Turkey Records Official Registration Form. Completely fill out the form, provide proper attachments (if needed) and obtain proper signatures (see form for details). •You will receive an 8 x 10 certificate for framing. •You will receive a distinctive wild turkey pin with the subspecies of the registered bird on the pin. •Your name and bird's information will be listed on our Web site. Birds are ranked statewide and nationally in various categories according to their subspecies. This list is updated on the Web site on a monthly basis. Wild turkeys are among the most popular game animals in the world. The wild turkey subspecies are inherently challenging, incredibly alluring and unique in their own way. Each of the six display different physical and behavioral characteristics that define them. Get the 411 on each subspecies, and then dive into all of the different slams and their requirements. Eastern wild turkeys are the most widely distributed subspecies east of the Mississippi River. They are also the most abundant. In fact, you can find them in 38 states and numerous Canadian provinces. Learn more at http://www.nwtf.org/conservation/bullet ... 9-9-09.pdf. The Florida wild turkey (also referred to as the Osceola) gets its name from its location. It’s only found in Florida. There are about 100,000 of them in Florida today. The Rio Grande wild turkeys are concentrated in western desert regions of Texas, Oklahoma, Kansas and other western states. Mexico also harbors a healthy population. 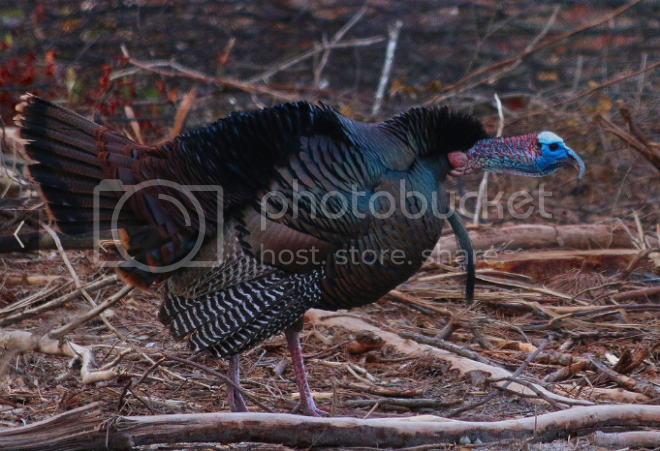 These wild turkeys are most abundant in the mountainous regions of the West. The Rocky Mountains are considered the central hub of the population. The Gould’s wild turkey can only be found in Arizona, New Mexico and northern Mexico. It's population is few in numbers. This subspecies can only be found in a 50,000 square mile area: in the Yucatan Peninsula of Mexico, northern Belize and the El Petén region of northern Guatemala. Good info as always Shooter. Thanks for posting. 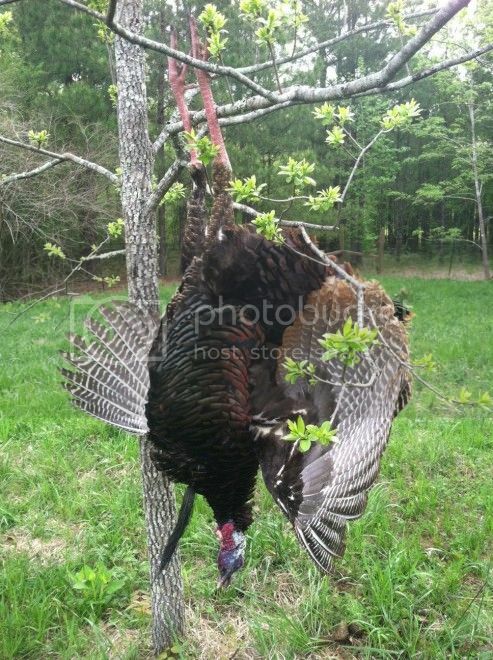 So...has anyone bagged a gobbler and measured their catch according to the guidelines above ! ?